Geraldine Robbins undertook a B.Comm. Degree at University College Galway (UCG) and went on to pursue a career in accounting. She worked in industry for a number of years, in operations and financial management roles. She is a Fellow of the Chartered Institute of Management Accountants (FCMA) and was initially admitted to membership in 1991. In 1992, she was awarded a first class honours Masters of Business Administration (MBA) at NUI Galway and took up a lecturing role at the J.E. Cairnes School of Business and Economics soon after this. In 2005 she completed a PhD at the University of Edinburgh. The title of her PhD research was: the role and use of accounting in the implementation of New Public Management (NPM) ideas in Irish hospitals. Geraldines research interests span both public and private sector financial management issues, in particular financial and performance management challenges in hospitals and more recently similar challenges in local government. She has presented research papers over her career at national and international conferences and has a range of publications (both peer-reviewed and practitioner focused) in these areas. She has served as reviewer for many national and international journals. She was a member of the Management Committee of the EU funded Cost Action: Local Public Sector Reforms - an International Comparison (LocRef) ISCH Cost Action IS1207. She chaired the Finance Committee at Beaumont Hospital, Dublin 2015-2017 where she was also a member of the Board of Directors 2014-2017. She was invited to join the SAOLTA Hospital Group Performance Improvement Plan Implementation Team in March 2017 and is currently working on this project. She is a Visiting Professor at Trondheim Business School, at the Norwegian University for Science and Technology, Trondheim, Norway 2016-2018 where she works with a small research team on hospital and local government reform projects. Turley, G., McNena, S. and G. Robbins (2018) 'Austerity and Irish Local Government Expenditure since the Great Recession'. Administration. Robbins. G. (2017). Joined-Up Local Government in Ireland and examination of an Early Shared Service Initiative', in:Joined-up Local Governments? Restructuring and Reorganising Internal Management. Vienna: Facultas. Robbins, G., Hajnal, G., Rosta, M., (2017). 'Joined-Up Government as a Public Management Doctrine & Shared Services as a Central Element of JUG' in: Joined-up Local Governments? Restructuring and Reorganising Internal Management. Vienna: Facultas. Robbins G., Turley G., and McNena S. (2016). 'Benchmarking the financial performance of local councils in Ireland'. Administration, 64 (1):1-27. Turley, G., Robbins, G., and McNena, S. (2015). 'A Framework to measure the financial performance of local governments'. Local Government Studies, 41 (3):401-420. Robbins, G., Mulligan, E., & Keenan, F. (2015). 'E-Government in the Irish Revenue: The Revenue On-Line Service (ROS) - a success story?' Financial Accountability & Management, 31 (4):363-394. Cohen, S, Guillamon, M.D., Lapsley, I., and G. Robbins(2015) 'Accounting for austerity: the Troika in the Eurozone'. Accounting, Auditing & Accountability Journal, 28:966-992. Robbins, G. and I. Lapsley (2014). 'From secrecy to transparency: Accounting and the transition from religious charity to publicly-owned hospital'. British Accounting Review, 471):19-32. Robbins, G., Lapsley, I. (2014). 'The success story of the Eurozone crisis? Ireland's austerity measures'. Public Money & Management, 34:91-98. Geraldines research interests include: Implementation of new public management (NPM) ideas in an Irish context; the usefulness of accounting information systems in the Irish public sector; e-government challenges; financial management choices and challenges for both the public sector and private sector firms; financial accountability and management; financial management policies and practices of quoted and non quoted Irish firms. She was awarded a Government of Ireland Senior Research Scholarship on two occasions by the Irish Research Council for the Humanities and Social Sciences (IRCHSS) - 2003/04 and 2004/05. 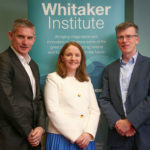 She received two New Foundation Grants from the Irish Research Council (IRC) in 2013 and 2015 and was awarded funding from the Irish Accountancy Educational Trust (IAET) in 2006. She received funding also from the Accounting for the Reform of European Health Care Systems Group and from CIMA to support her PhD Research. (2006) Accounting in Irish hospitals: Contradictions and Tensions. (2016) Public sector Innovation and Reform: Panel Presentation and Discussion. (2011) The Capital Budgeting Practices of Listed Irish Companies - Insights from CFOs on their investment Appraisal Techniques. (2011) Executive Views on Dividend Policy	. (2011) Seminar on Performance Evaluation in the Public Sector for Senior Civil Servants. (1994) More women seek careers in management accounting. (2016) In praise of accountability through inadequate technologies of government. (2014) Managing Across Boundaries Through Incomplete Technologies of Government: Accounting, agency and trust	. (2013) 'From boom to bust? The financial performance of city and county councils'. (1995) Research Methods in Information Systems, prepared for the MSc. in the Management and Application of Information Technology in Accounting - at the National Distance Education Centre, Dublin City University. (2016) The Financial Performance of Irish Local Government. (2017) Book Chapter: Chapter 1 Autonomy and Austerity: Re-Investing in Local Government in Geert Bouckaert, Sabine Kuhlmann, Christian Schwab (Eds. ), The Future of Local Government in Europe Lessons from Research and Practice in 31 Countries. (2007) CIMA/BAA New Public Sector Workshop. Management Accounting, Accounting for Decision Making and Control, Financial Management and Business Finance, International Financial Management, Corporate Finance. Journal Papers and Conference Papers Dr. Emer Mulligan, Accounting and Finance, NUI Galway. Dr. Murray Scott, Business Information Systems Group, NUI Galway. Dr. Gerard Turley, Economics, NUI Galway. Mr. Stephen Mc Nena, Economics, St. Angelas College Sligo and NUI Galway. Mr. Frank Conaty, Accounting and Finance Group, NUI Galway. EU FP7 Funded Framework Cost Action: Irish Member of the Management Committee of the COST Action:Local Public Sector reforms: An International Comparison (LocRef) (ISCHCost Action IS1207)COST (European Cooperation in Science and Technology) - a long-term international network for cooperation in science and technology. The Action Local Public Sector Reforms: An International Comparison (LocRef) started work on March 28th 2013. The objective of LocRef was to assess local public sector reforms from a cross-country comparative perspective. Industry Board Member Beaumont Hospital 2014-16. Chair of Finance Committee, Beaumont Hospital January 2014-16. Journal Papers and Conference Papers: International Collaborations Professor Sandra Cohen, Assistant Professor of Accounting at the Athens University of Economics & Business, Greece. Professor Maria Dolores Guillamon, Professor of Public Sector Accounting, University of Murcia, Spain. Professor George Kester, Martel Professor of Finance at Washington and Lee University, Lexington, Virginia, USA. Professor. Irvine Lapsley, Institute of Public Sector Accounting Research, (IPSAR), University of Edinburgh, Scotland. Professor Cristiano Busco, Professor of Accounting and Integrated Reporting, University of Roehampton Business School, London, England and Luiss University, Rome, Italy. Conference Papers: National Collaborations Dr. Thomas O Connor, Finance Department, National University of Ireland, Maynooth, Co.Kildare.